Many people desire a nose that is more balanced with the rest of the facial features. That’s why rhinoplasty (nose surgery) is one of the most common of all plastic surgery procedures. Dr. Ellenbogen is dedicated to achieving a result that looks more natural and less “surgical” with conservative, conscientious techniques. No one’s face is perfectly balanced. It is important to remember that, even if you try for a more symmetrical, evenly proportioned nose, your face as a whole may still be somewhat asymmetrical. A closed or “scarless” rhinoplasty leaves no scars visible on the outside of the nose. * All changes are made skillfully from inside the nose. An open rhinoplasty leaves a scar across the bottom of the nose which is visible. This scar is the biggest complaint that patients have with their rhinoplasty. My portrait training is vital to my results. My eye quickly picks up asymmetry or size which does not fit. Overall understanding the cadaver anatomy does not necessarily guarantee that the desired result is attainable. Every nose is different. Some patients require thinner, smaller, straighter noses. Others want a larger ethnic nose. I rarely perform open rhinoplasty anymore, although I have done hundreds. Closed rhinoplasty gives a better result, rarely requires pain medication, has little ecchymosis and swells much less, getting the final result much sooner. The combination of my comfort with the closed technique and my artistic training allows me to create a nose I almost never have to operate on twice. The most important thing in rhinoplasty is to listen to the patient what they want. The doctor must also know what the limitations are and what is improbable to create. Never promise something that cannot be done. I use a computer and imaging. For years I painted a portrait to show what they would look like. I could do this very rapidly. I did this with people from out of town as well as from in town. Now, however, I use imaging software to show them what they will look like and I can almost always get the result I image in actuality on the patient. I show the result I will get from both profiles and the front, and I explain to patients the side view and three-quarter views is the way other people see you. The front view is where you see yourself. The computer is not as accurate from the frontal view, and I tell patients this. The computer company actually addresses not do to front on imaging of the nose. The decision in most cases is not an immediate one. The patient will buy copies of magazines and make the decision over the next few weeks looking at numerous pictures. There will usually be family members and friends involved in the decision. Patients should be shown other patients’ results and even speak to other patients if requested. The revision patient is very hesitant in speaking to another patient I have helped, if beneficial. The decision is almost always a cosmetic change in the revision, but a few revisions require breathing surgery as well, or are done entirely for breathing surgery. In most cases, the surgeon fee for the revision is greater than the original surgery. Rarely is the decision to sue the original surgeon involved. You must realize that there are different styles that different surgeons prefer. Some prefer thin, aquiline noses others find thin noses artificial. A doctor who does good aesthetic noses are women may make his male patients too girly and vice versa. A careful perusal of the noses on the website gives you a good idea of the doctor’s taste. There is a professionally society called The Rhinoplasty Society which approves the skill and ethics of applicants. Generally, members of The Rhinoplasty Society will have better overall results and understanding of desire of the patient and those that do not are not qualified to be members. It does not matter if the doctor is board certified under plastic surgery or facial plastic surgery, but generally, the plastic surgeons have better results and more experience in cosmetic or revision rhinoplasty. In certain patients, liquid rhinoplasty is performed with fill that is injected to straighten the nose, create a pointier tip or show a hidden columella. All fillers will be absorbed in time, as short as three months. * An extraordinary, non-repairable, catastrophic loss of tissue of the nose has been reported. That is not uncommon. Skin tumors and cancers do occur on the nose and are very invasive and require excision with checks on the borders by a dermatologist to prevent recurrence. All in all, rhinoplasty is one of the most common operations in the world. With the information on the Internet, it affords the patient Internet information on what to expect. It also is an end-road for incompetent surgeons to advertise. Be very wary. Look at the gallery. Make sure he is a Rhinoplasty Society member. All Rhinoplasty Society members are board certified, and enjoy your adventure. Unnatural plastic surgery is sometimes in the spotlight. There are lies on the Internet showing celebrities who have ruined themselves or have become unrecognizable by bad plastic surgery. Similarly, there are many people who circulate among us who have had bad plastic surgery. The hallmarks of bad plastic surgery are the over-large lips, the turned up nose, the expressionless face, etc. New, inexperienced surgeons, surgical tourism, and bargain surgeons have created scooped, crooked, upturned, asymmetrical noses that are like a red flashing LED saying bad nose job. A patient who gets a bad nose job does not know what to do or where to go and thinks he or she is all alone. Usually, they go back to the same doctor to fix it. Fixing a bad nose job is an entirely different skill. Dr. Richard Ellenbogen has been performing revision rhinoplasty procedures for more than 38 years and has chosen to make it a primary focus of his practice. Revising a bad rhinoplasty requires an expert both in handling a patient whose trust has been breached as well as a scarred nose where you require grafts from the ear, rib or cadaver. It is almost a unique specialty or subspecialty of rhinoplasty. In 2016, Dr. Ellenbogen had just returned from a cadaver dissection rhinoplasty course where the anatomy was in direct vision. The defects in anatomy could be seen and repaired directly. Techniques can be improved anatomically but does not necessarily give a better, more aesthetic nose job that the patient likes better. Of course, understanding the anatomy is important, but that does not guarantee an acceptable or perfect result to a patient. Revising a bad rhinoplasty requires an expert both in handling a patient whose trust has been breached as well as a scarred nose where you require grafts from the ear, rib or cadaver. It is almost a unique specialty or subspecialty of rhinoplasty. I just returned from a cadaver dissection rhinoplasty course where the anatomy was in direct vision. The defects in anatomy could be seen and repaired directly. Techniques can be improved anatomically but does not necessarily give a better, more aesthetic nose job that the patient likes better. Of course, understanding the anatomy is important, but that does not guarantee an acceptable or perfect result to a patient. 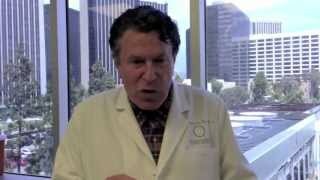 Dr. Richard Ellenbogen is the most experienced Los Angeles and Beverly Hills Rhinoplasty Surgeon. You select your doctor to perform your Rhinoplasty procedure for a number of reasons. You want a doctor with impeccable credentials. Someone who has years of experience and has trained extensively in the Rhinoplasty procedure you want. Someone who has worked at the best hospitals in the world, and has a complete understanding of safety in the operating room. A Board-Certified Plastic Surgeon, Dr. Ellenbogen has been practicing cosmetic plastic surgery for over thirty-eight years. Primarily serving the cities of Los Angeles and Beverly Hills, he’s truly an artist that specializes in all facets of cosmetic or functional medical procedures, like Rhinoplasty. He is also the go to guy to resolve previous unsatisfactory Rhinoplasty procedures. Dr. Richard Ellenbogen is triple fellowship trained and board certified in plastic and reconstructive surgery. He is a Beverly Hills and Los Angeles Plastic Surgeon who has been practicing cosmetic plastic surgery for almost thirty-eight years. His specialties at this time include facial de-aging surgeries, such as facial fat grafting, rhinoplasty, facelift, eyelid surgeries, and neck and jawline rejuvenation. He is the go-to guy for the revision of previous unsatisfactory surgeries for which he has been featured on television Prime Time. Don’t trust your face to anyone else. Contact the Best Facial Plastic Surgeon in Beverly Hills and Los Angeles for your Personalized Consultation today! Email us or call 1-310-276-3183.